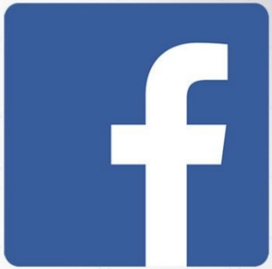 This is a country with such a distinct culture that has emerged from enduring Arab, African and European influences. Although, a three and a half hours flight from the UK, it’s a world away in ambiance and lifestyle – its exotic atmosphere and Arabic charm, vibrant colours, bustling souks which spring up in every corner, city squares with acrobats and snake charmers, ancient history and intricate architecture. Morocco’s cities contain numerous sites of interest, such as Casablanca’s Hassan II Mosque – the largest religious monument in the Muslim world after Mecca, Mohammed V’s Mausoleum in Rabat, Marrakech’s Museum of Modern Art, and Fes’ tumultuous medina, one of Morocco’s several UNESCO World Heritage Sites. 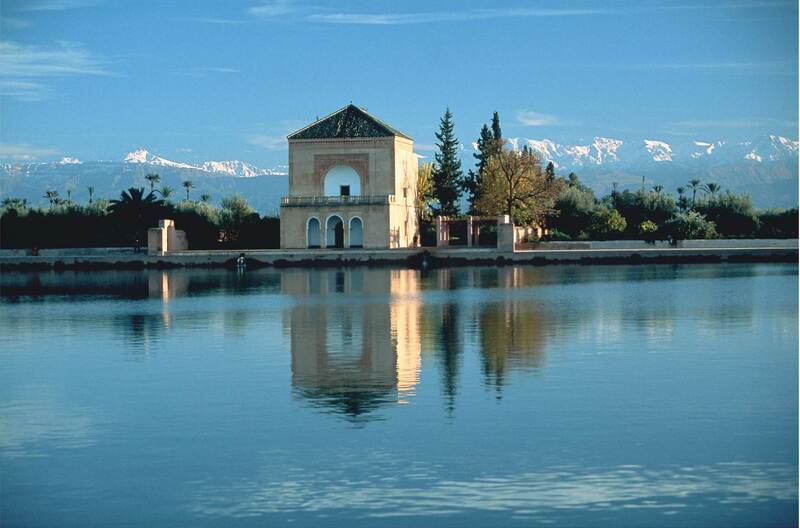 Travelling just a few miles from the rambling lifestyle of the city you’ll encounter the magnificent Atlas Mountains. 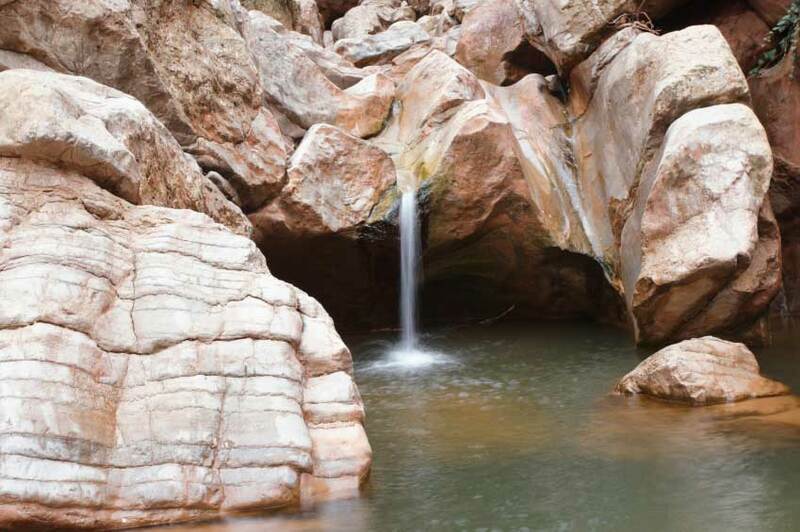 Dominate Mount Toubkal, the region’s mountain slopes are cloaked in dense pine, cedar, pine, cork and oak trees. 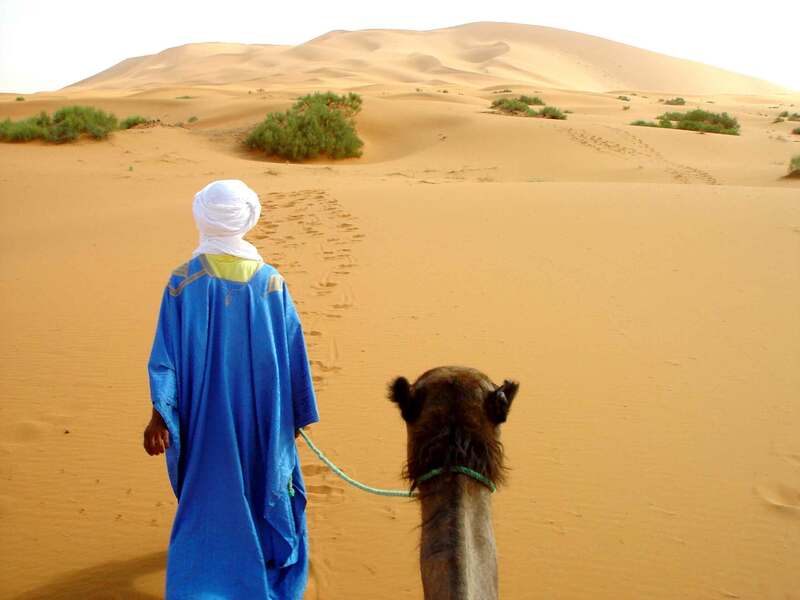 Berber tribes inhabit the territory from the fertile plains of the Atlas Mountains to the golden sands of the Sahara. Absorbed in this mesmerising landscape of miles of golden sand and undulating dunes you will witness some of the most fascinating and dramatic scenery imaginable. 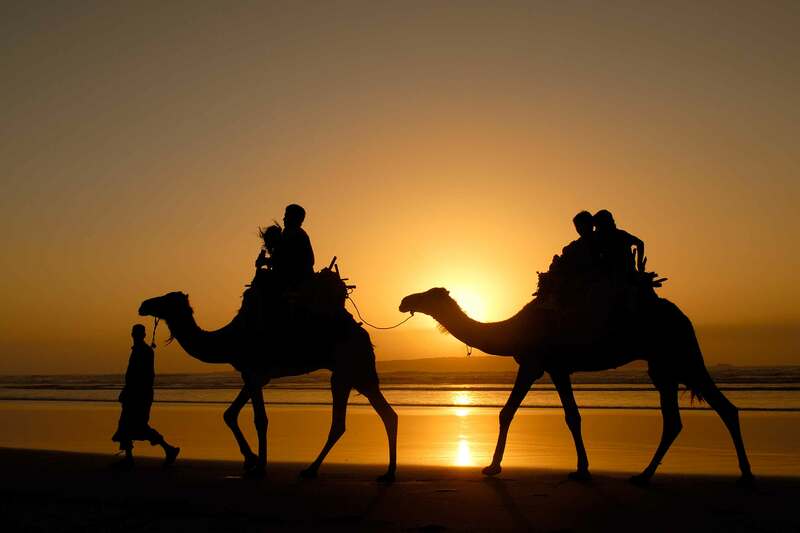 Morocco is well-known for its hospitality and has long enticed visitors with its vibrant character. 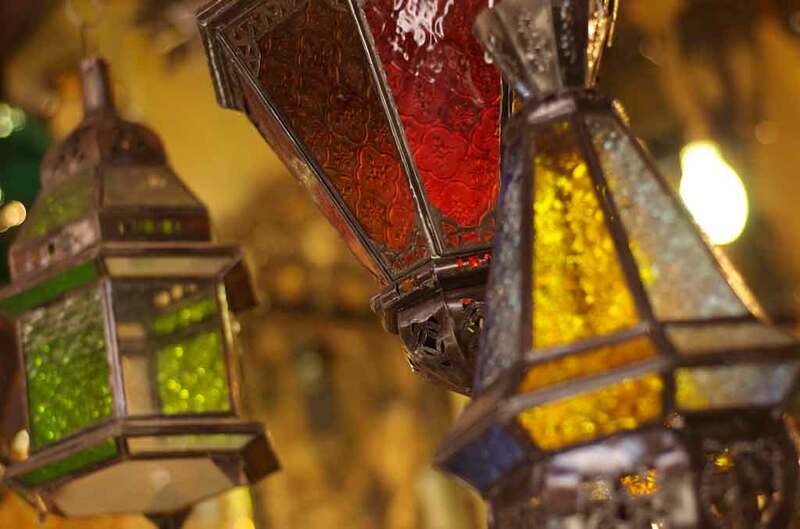 Whether you prefer to explore and discover its natural beauties and ancient culture or you prefer a stay in a stylish hotel or riad, Morocco offers an abundance of choices without compromising on comfort or adventure. 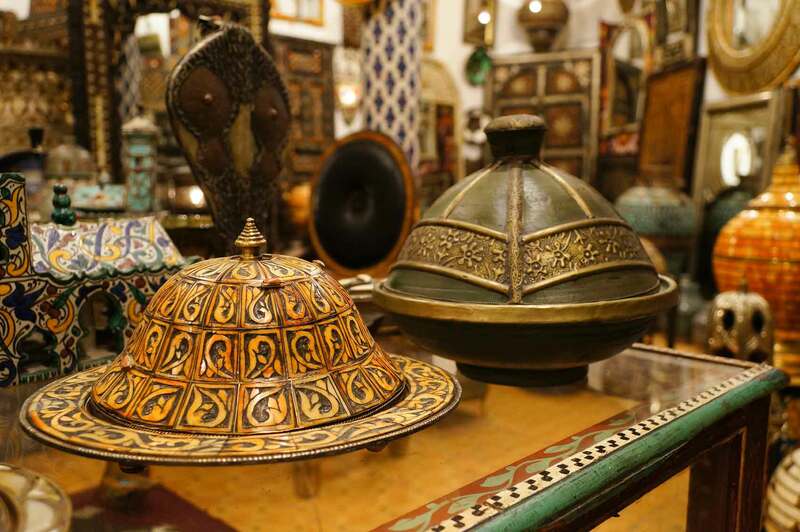 A journey to explore Morocco’s Imperial Cities and its fascinate architecture and intricate art. 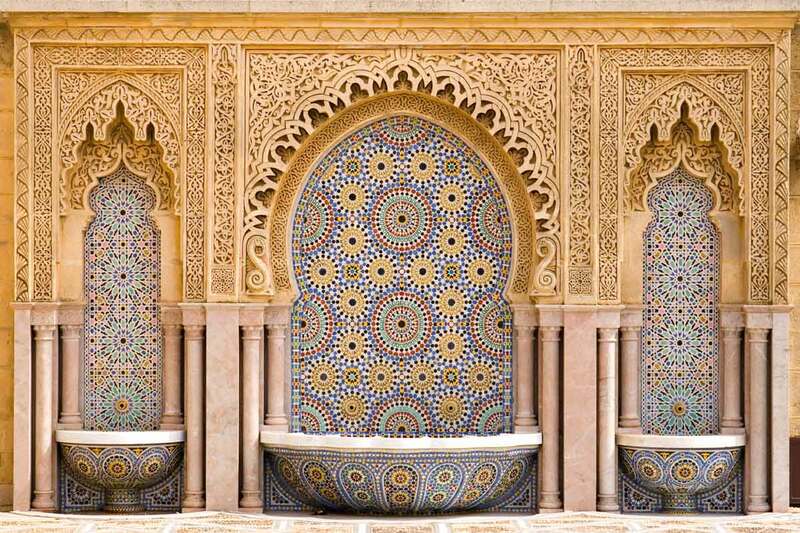 Fez, the religious and cultural heart of Morocc, the Roman ruins of Volubilis, an UNESCO World Heritage Site which boasting some of the most beautiful mosaics in North Africa and the bustling city of Marrakech.